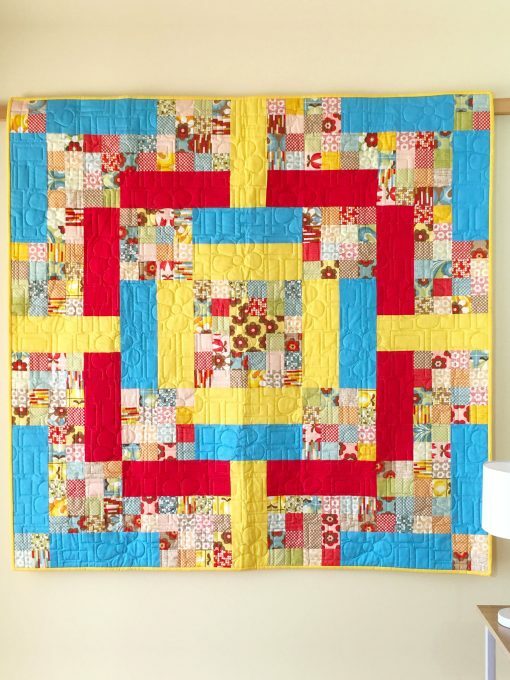 An original design which started off with 2 charm packs of Moda’s Boho range, and which was complemented with the red, yellow and blue primary colours to make this striking symmetrical quilt. 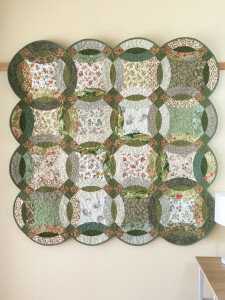 It is a square quilt, and of in-between size; not quite big enough to be used on a double or queen bed (although it would work perfectly as decoration on said bed), and a bit large for a single bed. 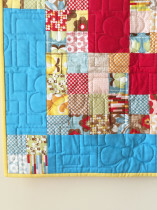 But it is perfect as a floor mat for babies and little children to play on. 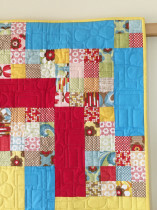 It also works well as a lap warmer, to snuggle under on the lounge. 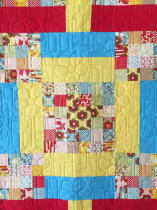 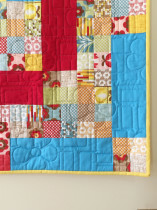 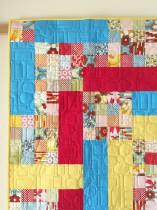 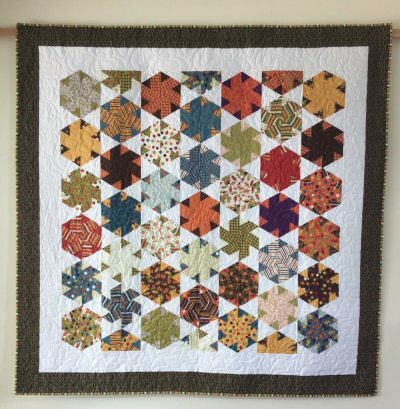 I love this quilt – actually I love all my quilts – but this one is so bright and cheery, it brings a smile to my face whenever I see it. 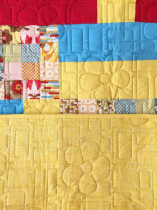 The back is a yellow cotton commercial backing with a geometric design on it, and the outside binding is the yellow plain fabric which was used in the quilt top.